Getting to know a little more about Hypothyroidism is a good start towards ensuring good thyroid and full-body health for all Canadians. Here are some facts and frequently asked questions about Hypothyroidism and how the thyroid works. Urinary tract infections can range from the harmless but uncomfortable to dangerous and life-threatening infections. They’re incredibly common, but are also subject to lots of myths and misbeliefs. The Canadian government has released a long-awaited update to the Canadian Food Guide – the guide that helps Canadians to make healthy eating decisions every day. With some new guidelines and advice that are supported by the most recent research and studies, there is lots of helpful information to guide Canadians to healthy eating that fits their lifestyle. Here are some of the important parts of the new Food Guide. Occasionally, food contamination with dangerous bacteria prompts our Department of Public Health to make a recall notice to keep Canadians safe. The recent recall of lettuce products due to E. coli contamination fortunately had no deaths and only a few confirmed cases in Canada, but it has left many Canadians asking questions about E. coli and food safety. While the New Year is a time that many people choose to take a moment and reflect on their lives and habits to make changes for the better, for others the steps to a healthier life by leaving addictions behind them is a serious issue that requires constant dedication and commitment. Addictions can happen to anyone, in any stage of life or social status, and can take over control of their life. Approximately 21% of Canadians(1) meet the criteria for substance abuse disorders – about 8 million people – and many others face addictions beyond substance use. Celebrating the holidays doesn’t have to take a toll on your diet, health, or fun. With a little mindfulness in your eating practices and habits, you can enjoy your holidays without straining your health or packing on the pounds. With winter weather finally settling in for the season, many Canadians are taking extra precautions to prevent the slick and icy surfaces outside from causing slips and falls. While some are simply avoiding a wintery slip to avoid minor bruises, falls can be a serious matter of health for others. 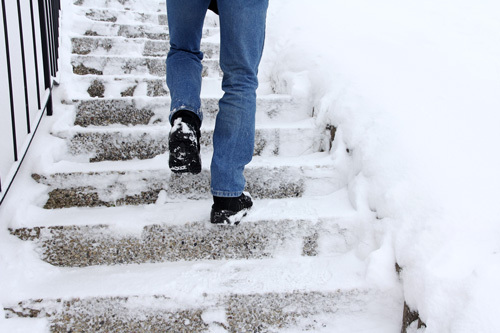 Fortunately, there are steps that can be taken to avoid getting hurt this winter and all year.